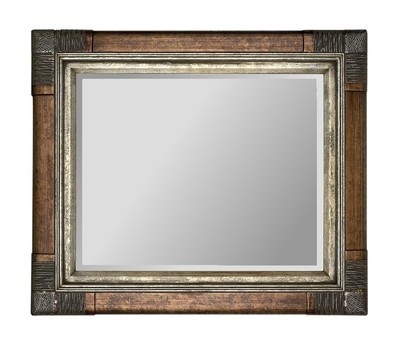 A traditional style bevelled mirror and has an aged effect frame in brown & silver. Overall size.109X79cm. The Juliette mirror is a traditional style bevelled mirror and has an aged effect frame in brown & silver.